If you were to ask any random person to name a makeup brand, one of their answers would surely be MAC Cosmetics. It’s no secret that they are one of the leaders in the beauty field, and for good reason; in many peoples view they produce an outstanding product that goes the distance. I dabble in makeup from time to time and so I found this deal in my usual hunt, and I added it to our Mac Cosmetics coupon page. The deal is for free shipping, it doesn’t last long, so you might want to hurry. One thing I noticed that I thought was genius was the Color Play feature were you could find nearly anything you want, let me explain. You input the area you would like to look for–like eyes, face, etc–and choose the color you want and you’ll get tons of suggestions! You can even go a step further and choose what form it comes in and even the finish. It’s a super intense feature that I can see myself getting lost in. 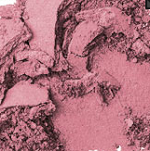 Mac Cosmetics is pricey (like nearly all make up) and they have world renowned quality. Their products blend well, it stays and the pigments are super rich and make everything pop. What would you like to buy?